Coins 21 Greek Italy. Southern Apulia, Tarentum. 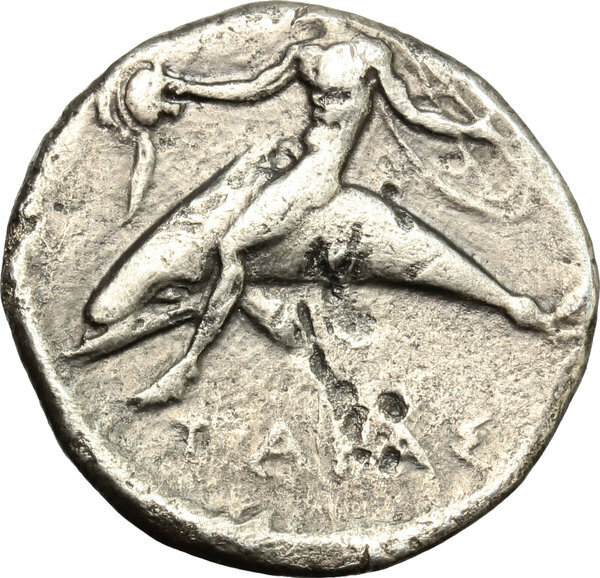 AR Nomos, 425-380 BC. D/ Horseman left, dismounting, carrying shield. 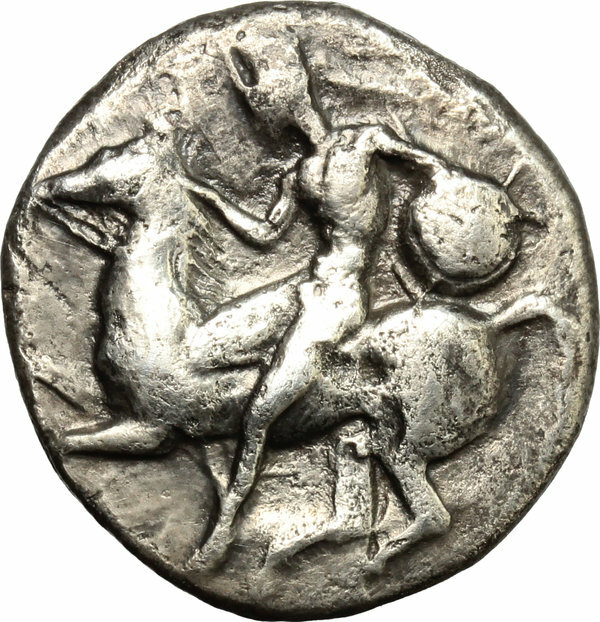 R/ Phalantos riding on dolphin left, holding helmet and oval shield. HN Italy 849. Vlasto 297. AR. g. 6.85 mm. 22.00 Toned. Good F.